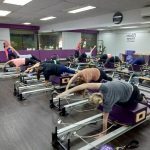 Thank you for your interest in Pilates Fitness Core & Body Aches Class. We want to help you to get rid of your back aches and pains permanently. Check our schedule here. Grab your special 5 Class Pass at $180 for 5 group classes (Normal Price at $$325). You can also contact us at enquiry@PilatesFitness.com.sg or call us at +65 9184 7622 if you have any questions. Do encourage your other loved ones to participate too, so that you can motivate each other throughout this journey as well!